The Gentle Art are suppliers of hand over-dyed threads which are produced to be of heirloom quality and are consistent, lightfast and colourfast. 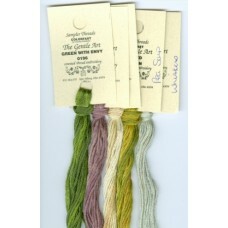 The Gentle Art Sampler Threads are a 6 strand overdyed cotton embroidery floss. These threads are f.. 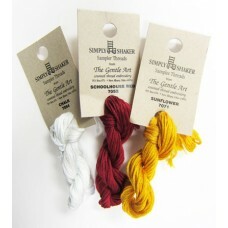 The Gentle Art Simply Shaker threads are a 6 strand overdyed cotton embroidery floss. These threads..